New Construction Buyers, Yes, You Do Need Buyer Representation! It is a total fallacy to think buyers do not need representation purchasing new construction. New Home Builders regularly tell prospective purchasers that they needn’t employ the services of a real estate as they don’t have anything to do with the construction process. This is incorrect. Your real estate agent is looking after your interests while the New Home Builders agent is looking after his/her best interests. Real Estate Agents get to hear the good and bad stories about working directly with the builder. Buyers think that they will get the best deal if they work directly with the builder, but that is simply not correct! Your Buyers Agent knows what is included in the transaction and where he/she can push the boundaries for inclusions. In New Construction, the Builder has made allowance for 3% commission to the Agent representing the Buyer. If there is no Buyer Agent, the marketing team allow you to think that you will be able to negotiate that amount in the construction price. That is not correct. If you managed to get some inclusions into the construction, that would be because they were already included and you just did not know about it. The marketing team are getting both financial sides of the transaction. It would be unrealistic to expect the new home team would have any loyalty to you if the transaction was heading into troubled waters. Its a brand new home, so nothing can be wrong with it, correct? Incorrect! Most Builders have the best intentions, however, the builders subcontractors or their own contractors cut corners without the builder realizing it. The only person who may know this is the Home Inspector. It will be the best money you spend to have complete peace of mind in the long term. Your Buyers Agent would know you need to have a home inspection done, the builder will not recommend that. If you are unrepresented in New Construction then who is going to make sure that the building contract fairly represents you the Buyer? The builder? The New Home Builders Sales Team? Correct – no one. Do you know for no extra fees to you, a Buyers Agent can help look after your transaction. An experienced buyers agent knows how to find hidden costs. A Buyers Agent is a skilled negotiator who know where you can save money. They also are there to make sure that the Builder meets his commitments and is there to protect you every step of the way. If a Buyers Agent does not cost you more money, why would you not choose to be represented. 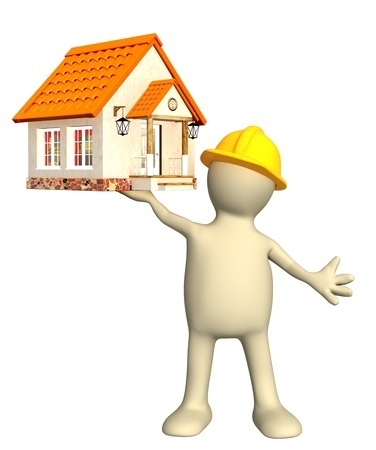 If you are considering new construction then employ the services of a real estate agent first. The agent will call on ahead and register you with the Builders Team to make sure they know you are represented and protected. Choosing the right real estate agent is very important when buying or selling a home. The best agent for the job, is the one you feel most comfortable working with. Do your ‘homework” and feel confident that this person will act in your best interests at all times.